"This first proclamation is addressed especially to those who have never heard the Good News of Jesus, or to children. 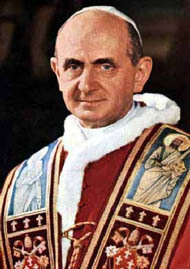 But, as a result of the frequent situations of dechristianization in our day, it also proves equally necessary for innumerable people who have been baptized but who live quite outside Christian life, for simple people who have a certain faith but an imperfect knowledge of the foundations of that faith, for intellectuals who feel the need to know Jesus Christ in a light different from the instruction they received as children, and for many others." F’Ottubru 2012 il-Papa Benedittu XVI flimkien ma’ 262 isqof minn madwar id-dinja kollha, iltaqgħu f’Sinodu Ġenerali biex jiddiskutu l-evanġelizzazzjoni ġdida għat-tixrid tal-fidi. F’dan is-Sinodu il-Konferenza Episkopali Maltija kienet rappreżentata mill-Isqof ta’ Għawdex, Monsinjur Mario Grech. Matul il-jiem tas-Sinodu, l-Isqof Grech kien jibgħatilna komunikati regolari dwar dak li kien ikun għaddej fis-Sinodu u b’hekk aħna stajna nżommu l-qarrejja tal-Laikos aġġornati. "Over the years, I have often repeated the summons to the new evangelization. I do so again now, especially in order to insist that we must rekindle in ourselves the impetus of the beginnings and allow ourselves to be filled with the ardour of the apostolic preaching which followed Pentecost. We must revive in ourselves the burning conviction of Paul, who cried out: 'Woe to me if I do not preach the Gospel'." John Paul II, Novo Millenio Inuente, 40, 6 January 2011. 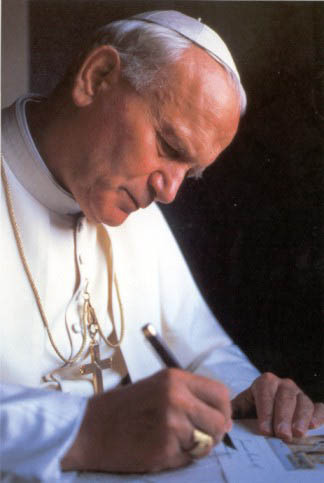 "Pope John Paul II represented the Church's missionary nature "in the flesh" with his Apostolic Journeys and with the insistence of his Magisterium on the urgent need for a "new evangelization": "new" not in its content but in its inner thrust, open to the grace of the Holy Spirit which constitutes the force of the new law of the Gospel that always renews the Church; "new" in ways that correspond with the power of the Holy Spirit and which are suited to the times and situations; "new" because of being necessary even in countries that have already received the proclamation of the Gospel." Benedict XVI, Pope, Ubicumque et Semper, Apostolic Letter in the form of Motu Proprio, Establishing the Pomtifical Council for promoting the New Evangelization. Benders Sebastiaan, New Evangelization, online:http://www.sebastiaanbenders.nl/wp-content/2010/09/New-evangelization.pdf. Bishops of NSW, Australia, Catholic Schools as Centres of the New Evangelization, on Pastoral Letter, Catolic Schools at a Crossroads, Sydney, August 2007, pp 12-13. Cantalamessa Raniero, OFM Cap, The glory and power of the Gospel. Cantalamessa Raniero, OFM Cap, Il tramonto dell'eternita' e la nuova evangelizzazione, 10 December 2010. Chaput Charles J, Archbishop of Denver, We are called to win the world for Christ. Chaput Charles J, Archbishop of Denver, Evangelization and the Great Jubilee. 24 December 1997. Chaput Charles J, First preach by the way you live: Bishops and the New Evangelization, Synod of Bishops, Rome, 16 November - 12 December 2002. Cremona, Mgr Pawlu, Arċisqof ta Malta, Diskors fl-Assemblea Djoċesana 2010 dwar l-Evanġeliżazzjoni Ġdida, 17 u 18 Settembru 2010. Awdjo. Christian Robert, OP, The role of the parish in the new evangelisation, Online:http://www.siena.org/library/ssspr98/parish.html. ChristLife Website, Selected Statements of the Church and Popes on Evangelization and the mission Ad Gentes. online: C:\Users\Joe\Desktop\New Evangelization Selected Statements.htm. Eterović, Msgr Nikola, General Secretary for Synod of Bishops, The New Evangelization for the Transmission of the Christian Faith, 4 March 2011. Farrugia Joe, Evanġelizzazzjoni Ġdida! Kif? Kwalitajiet u Karatteristiċi tal-Evanġelizzazzjoni Ġdida, 4 Settembru 2011. Fournier, Deacon Keith, A Missionary Pope, the New Evangelization Council and the Ecclesial Movements, Online: http://www.catholic.org. Grech, Mgr Mario, Isqof ta' Għawdex, L-Iskrittura hi l-għajn ta’ tiġdid fil-Knisja u fis-Soċjeta', Omelija fil-Festa ta’ San Girgor il-Kbir, Kerċem, 8 Marzu 2009. Ivereigh Austen, The architects of the new euro-evangelization, 5 January 2011. John Paul II, Pope, Internet - A new forum for proclaiming the gospel, On occassion of feast of St Francis de Sales, Vatican, 24 January 2002. Kerr David, New Evangelization must begin with the heart, Pope teaches, Online: www.catholicnewsagency.com. Mahaney Dennis, Office of Parish Life, The New Evangelization and parish vitality. Nador Dave, What are the Characteristics of the New Evangelization? Online http://www.christlife.org/evangelization/articles/C_newevan.html. National Catholic Reporter, Vatican tries to flash out 'New Evangelization'. 4 March 2011. Pintor Sergio, Pastoral and Missionary Commission, The Holy Spirit: Protagonist of the New Evangelization, Online http://www.vatican.va/jubilee_2000/magazine/documents/ju_mag_01111997_p-72_en.html. Pontifical Council for the Family, Themes for the New Evangelization and the Family in preparation for the second World Meeting with the Holy Father, The Family, Gift and Commitment, Hope for Humanity, Rio de Janeiro, 4, 5 October 1997. Ratzinger, Cardinal Joseph, The New Evangelization, 2000. Rymarz Richard, John Paul II and the New Evangelization: Origins and Meaning, in Australian EJournal of Theology, Vol 15, No 1, 2010. Synod of Bishops, XIII Ordinary General Assembly, The New Evangelization for the Transmission of the Christian Faith, Lineamenta, 2 February 2011. Synod of Bishops, Questions at the end of each chapter of the Lineamenta, aimed at generating discussion at every level of the Church, 2 February 2011. Vatican Radio Report, New Evangelization: Christians who are credible in what they say and do, 30 May 2011. Zenit, Post-Communism makes for unique New Evangelization, Online: http://www.zenit.org/article-33073?l=english. Zenit, New Feminism offered by New Evangelization, Conclusion of International Congress held in Rome.